The Buddhist Peace Fellowship is looking for a Buddhist activist to work for peace in Colombia through the Dharma in Action Fellowship (DIAF). The DIAF Fellow will be placed with the Fellowship of Reconciliation?s peace team to provide nonviolent protective accompaniment to threatened peace activists in Colombia, while exploring the relationship between Buddhism and activism. Applications are due January 3, 2011! The DIAF?s placement will be for at least one year. The FOR team carries out human rights protective accompaniment in the rural peace community of San Jos? de Apartad? and in the capital city of Bogot?. Team members in San Jos? increase the security of a community that refuses to participate in Colombia?s civil war. Bogot? team members support the peace community of San Jos?, and also work with other grassroots nonviolent initiatives. The Dharma in Action Fellow will be responsible for communicating reflections on the relationship between Buddhism and activism through a socially engaged listserv and/or a personal blog, and upon completion of service will give a speaking tour, visiting Buddhist centers in the U.S. to talk about his/her experience and insights while on the team in Colombia. * A clear understanding of and commitment to nonviolence, and to the value of bearing witness through an accompaniment project. * Proficiency in both Spanish and English. * A commitment to serve for at least one year. * at least 23 years old at time of service. * A commitment to Buddhist practice. FOR covers travel, living expenses, a small monthly stipend, and health insurance. 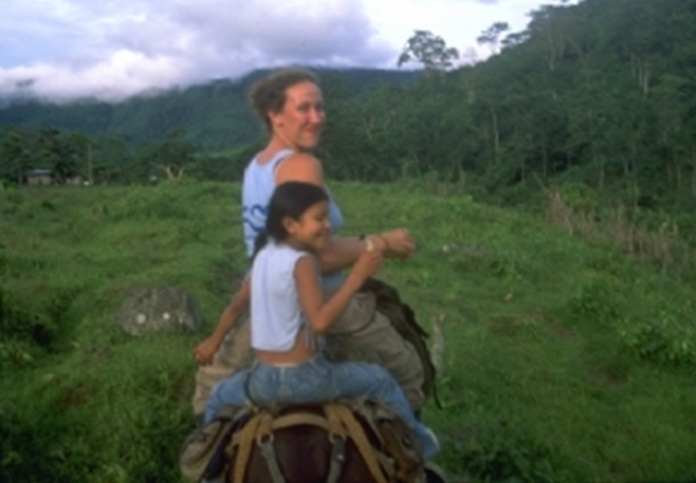 The Dharma in Action Fellowship includes dharma support while in Colombia and funds towards a Buddhist program of the DIAF?s choice upon completion of service. All applicants to the FOR team complete an interview, followed by a week-long training. The training is a mutual discernment process to help both the volunteer and FOR decide if it is the right fit. Applicants to the DIAF position on the FOR team will also be interviewed by BPF. FOR has scheduled their next training for February 18-23, probably in Nyack, New York. The application deadline is January 3, 2011. For more information about the DIAF position on FOR’s Colombia team, please contact Sarah Weintraub at sarah@bpf.org.